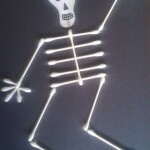 Construction paper and pipe cleaners are about all you need for this paper pumpkin craft. 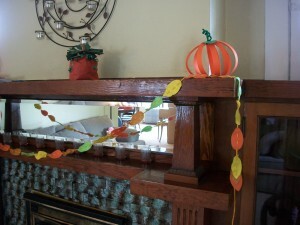 We’ve really gotten into decorating for both Halloween and autumn around here. The dining room as a definite silly/spooky Halloween vibe, while the living room has more of a sophisticated “harvest” theme. 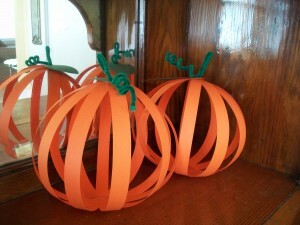 Just because it’s more grown up doesn’t mean there aren’t any kid crafts in there, with these simple pumpkins being a great example. 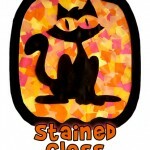 Most of these craft supplies are right on hand! 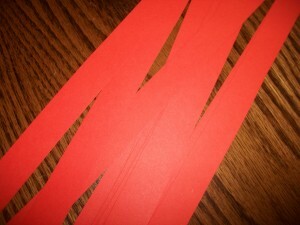 Cut your paper lengthwise into strips. The width is up to you. 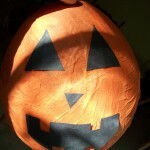 We did 11 strips for our each pumpkin. 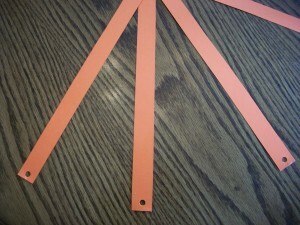 Fan the strips out and staple them at the gathering point. 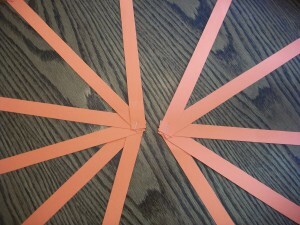 Then tape the two fans together. 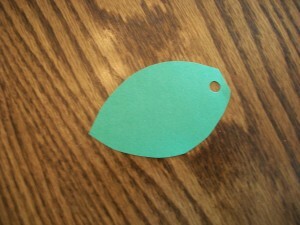 Cut out a leaf and hole punch it at the bottom. Hole punch each strip on the non-attached end. Bring them all together at the top and feed a green pipe cleaner through them and the leaf before twisting it to hold everything in place. 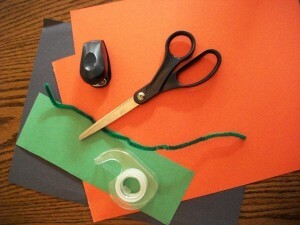 Curl the pipe cleaner around your finger or a pen to look like pumpkin vines. 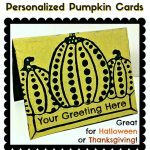 Use your paper pumpkins to add color and fun to your Halloween or harvest decorations. 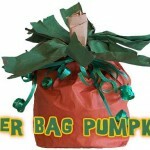 You may notice a couple of our other autumn crafts in this picture, like the autumn leaf garland and paper bag pumpkin! This is sooo cute! 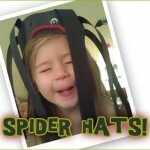 I am going to try this activity with my daughter.